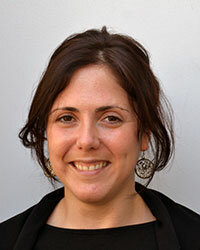 Dr. Cristina Madrid-Lopez holds a BSc in Environmental Science (Universidad Pablo de Olavide, Sevilla), MSc in Economic History and Economic Institutions (UAB) and a PhD in Environmental Science and Technology (UAB). She has been visiting researcher at the University of Twente, with Arjen Hoekstra (The Netherlands, 2007-2008) and at King’s College London, with Tony Allan (UK, 2009), and the National Institute of Advanced Studies IAEN (Ecuador, 2014). Her research deals with the biophysical dependence of socio-ecological systems, with an emphasis on their water metabolism. Her approach to science combines both interdisciplinary quantitative qualitative techniques. She has participated in a number of international projects, -including EU and FAO funded- dealing with agricultural systems, virtual water and water footprint, environmental accounts, river basin management, water conflict resolution, the water-food-energy nexus, energy systems, etc. Her international collaborations include research networks like the COST action Euro-Agriwat and the supervision of PhD students in Ghana and Brazil. Currently, she is a Marie Curie researcher in ICTA and the School of Forestry and Environmental Studies of Yale University. Her current research analyzes how sustainable fracking-extracted shale gas is in the US and if its exploitation is feasible, viable and desirable in Europe.